Yesterday I fulfilled a dream. 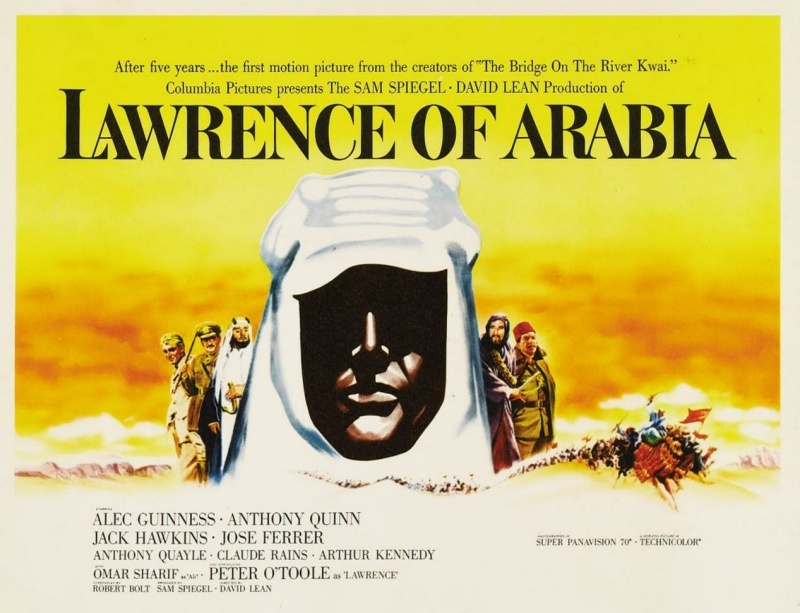 I finally got to see David Lean's 1962 epic, Lawrence Of Arabia, on a big screen. It seems ironic that Ridley Scott's Prometheus drew attention to Lean's greatest film (yes, it's better than Great Expectations), while his own epic fell vastly short of the mark. Anyway, the film's 50th anniversary is being celebrated next week with a new Blu-ray restoration, followed by a theatrical release in November. I urge everyone with a love of real cinema to go. Yes, it's a film about complex men who cry. Quite a bit actually. Which is odd because on paper it's a rather Boy's Own-take on one man's military zenith, slaughtering Turks and making a game of conquering vast sandy places. And this is why I'm particularly fascinated by how LOA could be viewed in a post-feminist age. It's a well-established fact that Lean's masterpiece is the longest film ever released with no speaking parts for women. There's a fair old bit of ululation in the scene where the Bedouin tribes set off to conquer Aqabar, but overall women play no role in this primarily Moslem, harsh, war-torn landscape. A brief glimpse of a jewelled hand behind a dark curtain, or as the lifeless victims of the retreating Turkish army aside, it's a man's man's desert that Lean portrays. Narratively speaking this, for me, seems completely justified, and reflects perfectly the imperfect hegemony at the heart of the Arab-speaking worlds of the early 20th century. Adding to that point, many Arab countries at the time of release banned the film, appalled by its portrayal of brutal desert tribes (as Lawrence famously describes them: 'A little people; a silly people: greedy barbarous and cruel'), yet Omar Sharf convinced Egypt's Nasser to view it, aware that it was actually a fair portrayal of a land where the technological and cultural advances of past centuries had been worn down by successive defeats at the hands of outsiders. Nasser agreed, and it was released with massive success in Egypt. Alec Guiness as Prince Faisal longs to return to the days of the Arab city of Cordoba with its 'two miles of public lighting in the streets when London was a village' and recognises that, at long last, the Arab-speaking world was prepared to regain their place on the world stage. But this, in turn, highlights what seems to have plagued the Middle East since the 19th century: the impossibility of regaining power without the 'help' of imperialist powers with a vested interest in something that the Arabs possess. In this case it was the Suez Canal's strategic importance during the First World war, yet any contemporary viewing can't help but draw parallels with today's conflicts. General Allenby (Hawkins) will give aid in the form of small arms and money but balks at giving the Arabs any artillery. As the scheming 'architect' of the liberation of Arabia from the Turks (only to be replaced by the French and the British), Mr Dryden (Claude Rains) points out that 'they may not give the guns back'. Our Judaeo-Christian fear of the Moors seems to have never waned since the days of Charlemagne. An oft-repeated truism is that you couldn't make a film like this in the present day. Costing a huge 13 million dollars at the time, Stephen Spielberg famously estimated that it would come in at around 250 million today, and probably still have a massive amount of post-production. 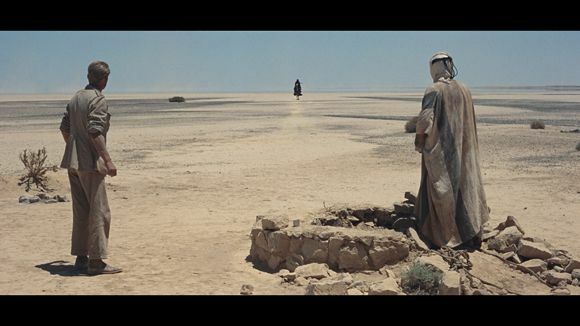 Of course, aside from O'Toole's mesmerising performance, the real star here is the desert of Jordan. Seen on a big screen, you suddenly realise why CGI fails to REALLY move (despite Michael Mann's recent, rather odious insistence that James Cameron's Avatar is great cinema and not just a big bloody cartoon). Try watching John Carter after the true spectacle of Freddie Young's Super Panavision 70 depiction of a monumental landscape to see what I mean. It's a wonderful minimalist poetry; perfectly suited to the widescreen 2.20:1 ratio. The 'sun's anvil' of the Nefud Desert is almost hallucinatory: its black shadows stretching across the baked earth, each pebble standing sharp in the fabulous digital 4k remastering. And the way Lean LINGERS over each shot makes you realise that this is less a film about one man's war exploits and more about the impossibility of any human endeavour in the face of such grandeur. Time becomes an irrelevancy against the eternity of God's wilderness. Even Lawrence himself is eventually defeated: 'I pray that I may never see the desert again. Hear me, God.'. What Lawrence loves about this landscape ('It's clean', he tells American reporter Jackson Bentley (Arthur Kennedy)) is exactly what the Arabs DON'T want. 'No Arab loves the desert' says Prince Faisal. Lawrence is a loner who, for a brief period falls in love with his own myth. But ultimately to both Arabs and British he's a semi-insane enigma. As Allenby says to Lawrence in one of the many fabulous moments from Bolt's darkly comic script: 'I can't make out whether you're bloody bad-mannered or just half-witted.' 'I have the same problem, sir.' replies Lawrence. I don't think I'll ever see another film where the minutiae of human drama is matched by the epic sweep of nature in such a seamless manner. In Kubrick's 2001 you sense the vastness, but at the expense of humanity. Somehow Lean gets both across. It's some trick. The film can be seen at these venues!